In April of 2018 a young deer went for the ride of its life. The Spring thaw was underway and ice in the St. John river was on the move. 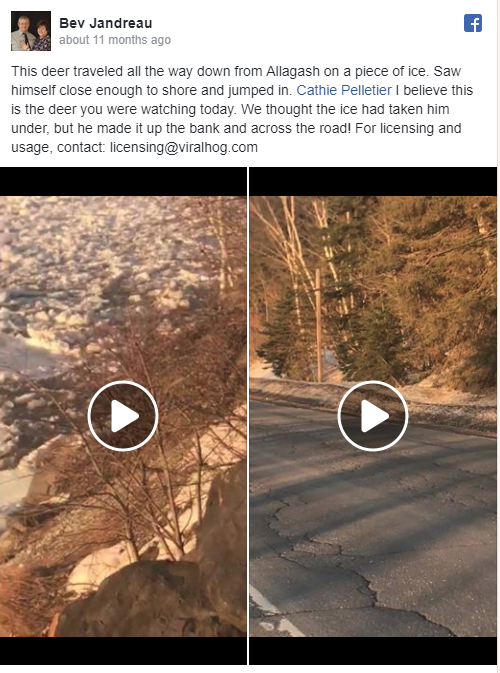 The deer, apparently trying to cross the river, got stuck on a chunk of ice and started floating downstream. Luckily this story does have a happy ending! Farther down stream, Bev Jandreau also noticed the deer floating by and was able to record it making it to safety.